Many of us have a friend or family member who is challenged by a physical, mental, or developmental disability. Caring for a loved one under these circumstances can be both challenging and rewarding. As part of your car plan, you should consider the use of a special needs trust. This is particularly true if the person is receiving, or plans on applying for, state or federal benefits such as Medicaid and Supplemental Security Income (SSI). A special needs trust provides a mechanism by which the disabled person can receive gifts and inheritances without interfering with his or her benefits. A special needs trust is a trust specifically designed to hold assets for a person who suffers from a physical or mental disability. The trust holds property for the benefit of the disabled person who is likely unable to manage his or her own finances. Special Needs Trusts are generally used to pass wealth to a disabled person without interfering with his or her Supplemental Security Income (SSI), Medicaid, vocational rehabilitation, and subsidized housing. There are two types of special needs trusts. “Self-Settled” Special Needs trusts and “Third Party” Special Needs Trust. Self-settled special needs trusts are trusts established using funds to which the disabled person had a right to possess. Meaning, the funds used to fund the trust were his or her own property. Typically, in a self-settled scenario, the proceeds come from a settlement or lawsuit which led to the disability. The rules governing the use of self-settled special needs trusts are much more restrictive than those of a third party special needs trust because the assets being sheltered by the trust were the disabled persons own property. Third party special needs trust—as the name suggests—are special needs trusts which are funded with someone else’s assets. Typically, a third party special needs trust is set up by the family of the disabled person. The family then gifts money to the trust, rather than the disabled person, so the gifts do not interfere with the disabled persons Supplemental Security Income (SSI), Medicaid, vocational rehabilitation, and subsidized housing. This is particularly common with an inheritances. 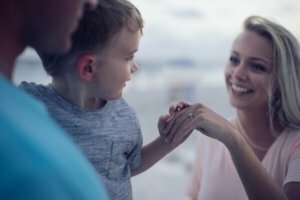 How Does a Special Need trust Work? If a person receiving means tested state or federal benefits (SSI, Medicaid, Etc.) receives a large inheritance (or gift), the inheritance may render the disabled person ineligible for the benefit. Thus, the disabled person is required to spend down the inheritance or gift then reapply for the state or federal benefit. A special needs trust works by holding the assets out of the estate of the disabled person. In this type of arrangement, the trust rather than the disabled person owns the assets in question, therefore the assets in the trust are not counted as the disabled person’s assets for purposes of means tested state or federal benefits. With a proper estate plan, the family of a disabled person can leave money to special needs trust. Doing so will prevent the inheritance (or gift) from interfering with state or federal benefits—and allow the disabled person to benefit from the inheritance via distributions from the special needs trust. In Michigan, a special needs trust is generally set up or prepared by an attorney. The trust is carefully drafted to ensure assets in the trust are not included in the disabled person’s estate. Preparing a special needs trust is generally done as part of a broader estate plan. Any person who has named the disabled person in there will or trust will have to update their documents to name the special needs trust as beneficiary rather than the disabled person personally. The trustee of a special needs trust cannot give money to the disabled person directly. This would constitute a gift and the money received would be count in the means testing calculations. Meaning, the gift could affect the disabled person’s benefits. Instead, the trustee can use the trust assets to purchase necessities. Typically, necessities include vehicles, a personal care attendants, vacations, home furnishings, education, medical and dental expenses, physical therapy, and even recreation. Do you have questions about a special needs trust in Michigan? Our experienced Michigan special needs trust attorney can answer your questions and help you get started today! Contact is for your free consultation. We are a five star rated law firm. Our office is located in Plymouth, Michigan. Our estate planning and trust attorney serves all of Metro Detroit and Ann Arbor, including Plymouth, Canton, Northville, Novi, West Bloomfield, Commerce, and Farmington Hills. We offer exceptional legal services and can help you with a special needs trusts, probate, living trusts, revocable trusts, charitable trusts, medical power of attorney, durable power of attorney, and more!